Floyd Mori, former executive director of JACL, appears in an ad for AARP. WASHINGTON — AARP has launched its first national Asian advertising campaign featuring key community leaders. • Ginny Gong, former four-term national president of OCA. Under her leadership, OCA made history by establishing the OCA National Center and became the first Asian American organization to have a permanent presence in the nation’s capital. • Floyd Mori, is one of the country’s leading advocates for the advancement of Japanese American and Asian Pacific American communities. 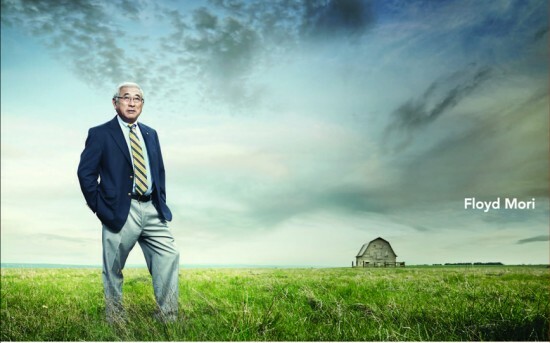 He has provided Japanese Americans with a voice at the table where decisions are made. • Tony Taguba, chairman of the Pan-Pacific American Leaders and Mentors, is the second Philippine-born U.S. citizen to be promoted to general in the U.S. Army. He is a decorated officer and an advocate for breaking down barriers. “I’ve worn a lot of hats in my life – mother, grandmother, community activist and government director,” said Gong. “And, as long as they fit, I intend to keep wearing them. I hope to maximize this next phase of my life journey as a vibrant senior citizen, and AARP will be there to help me.” To hear her testimonial, go to www.aarp.org/videos.id=2149167993001. “Older Americans are becoming a greater part of our society,” said Mori. “We’re all living longer. To be a member of an organization that advocates for policy, that means I can participate in being a voice as a senior and someone who happens to be Asian American.” To hear his testimonial, go to www.aarp.org/videos.id=2149100396001. “I joined AARP when I was 50 because I wanted to be a part of an organization that looked out for us,” said Taguba. “This is an important opportunity for us to maximize the quality of our lives as we enter our golden years.” To hear his testimonial, go to www.aarp.org/videos.id=2149102813001. Ginny Gong, former OCA national president, appears in an ad for AARP.